My next few posts are basically going to be an extended story. I wanted to share with you what it has been like attempting to spring a dog from the shelter and get it into a breed appropriate rescue. It has been quite the stressful week so far. I am a volunteer at our local animal shelter and saw a Great Pyrenees with a “waiting for my owner” tag. Essentially, this means the dog was found as a stray and the owner has three days to claim the dog. Being a pyr lover, I so desperately wanted a responsible owner to come forward, but as I watched his behaviors I could tell such an owner didn’t exist. Since I couldn’t technically interact with him, I tried to gain as much information as I could so I could start contacting rescues. I could tell he was a mix, but definitely had a lot of pyr in him, and about 4.5 months old. As anyone with a pyr or other LGD knows, they are a special type of dog. They require a certain kind of owner and they will not fit everyone’s lifestyle. People just see their striking beauty and not the characteristics that accompany such beauty. If you’re involved in the rescue world, you know that pyrs are relinquished frequently. As with any giant breed, they are essentially puppies until they are 3 and they are expensive to care for. I didn’t realize that attempting to get this dog into the hands of those with pyr knowledge would be one of the most stressful things I have dealt with. The local shelter works with rescues, but not on an every day basis. The dog has to be at the shelter for a long period of time before they will reach out to rescues for assistance homing a dog. It makes perfect sense. The shelter needs the funding from adopting out a dog, which you don’t receive when relinquishing a dog to a rescue. I thought, maybe I can get permission to technically adopt this dog with the knowledge he would be going to a rescue. And here’s where it all begins. 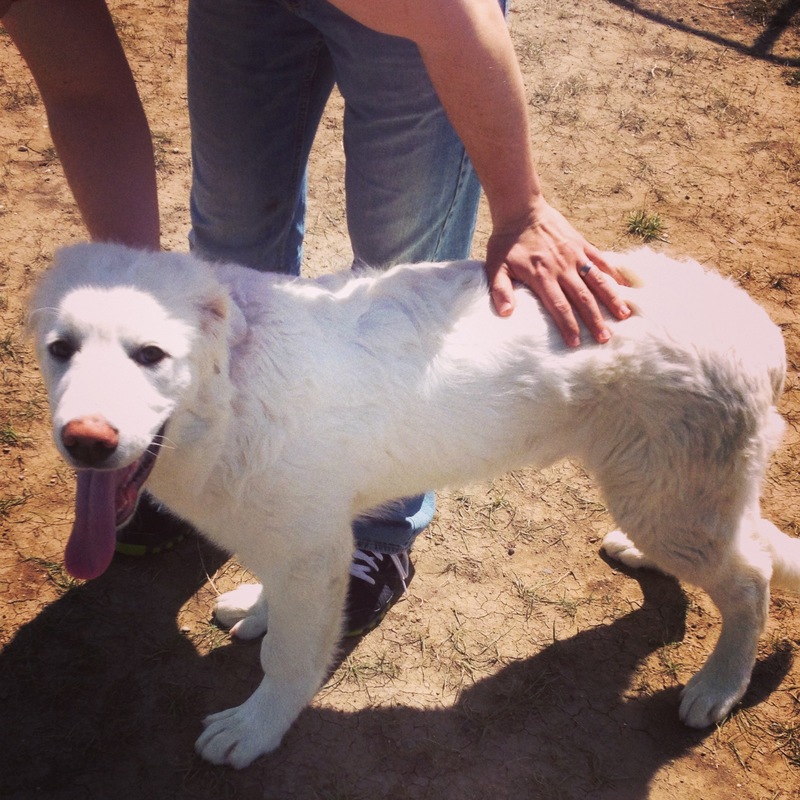 As soon as Balto (the pyr) became available for adoption, I put in an application on him. This would buy me a little time to find a rescue that was willing and able to take him. Never did I imagine the roller coaster ride I was about to embark on. I was on a time crunch. If anyone else put an application in on him, I would have 24 hours to find him a suitable rescue. At the beginning, it was going great. I emailed/called several large rescues and got a response from one of them. They informed me that if I could get the dog across the country to email the director to work out the details. After three emails in 24 hours, I never heard back. I had the wonderful help of the Great Pyrenees Cross Posting Facebook Site, but every lead we got fell through. Later that day, I got an email saying another application was put in on him and I had until 330 the following day to figure the situation out. The evening before my hold expired, we had a lead. I was almost certain this was going to work out. A large rescue said they could most likely take him and I started my happy dance. They failed to reply to any of my calls/emails for the rest of the time. Try after try, no one contacted me back. With about four hours until my hold expired, I entered panic mode. I gave up on the larger rescues and started focusing on the smaller ones. I called/emailed 5 smaller rescues. Within, two hours I heard from two of the rescues that were absolutely willing to take him as long as I could get him there. I immediately emailed the shelter after the first phone call letting them know the good news. By the end of the day, I had received contact from all 5 pyr rescues I contacted. I still haven’t had any response from the larger rescues. I understand that in the rescue world they are constantly inundated with dogs. It’s hard to keep up with everything. I do understand their side of the coin, but it’s important they understand the flip side as well. I was really putting myself out there to help this dog and felt like no one cared (except the fantastic people in the pyr FB group). 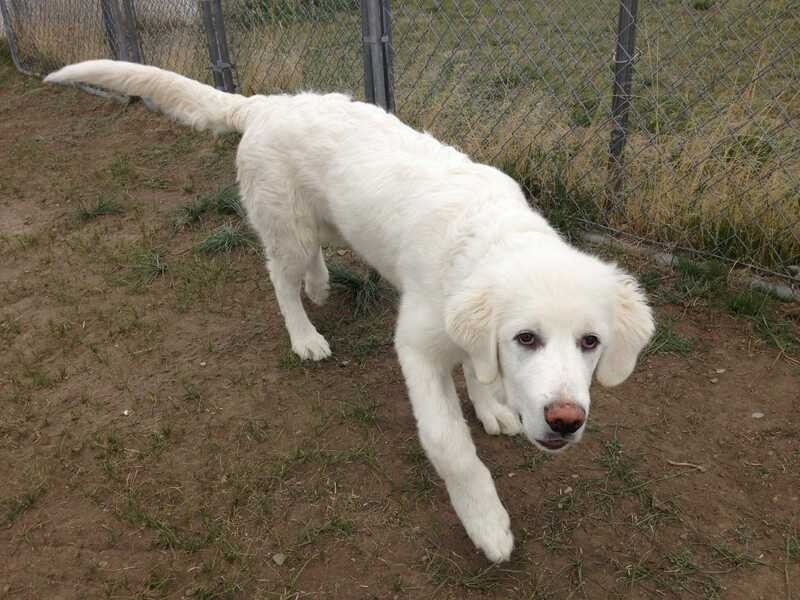 Many, MANY thanks go to the Great Pyrenees Rescue of Wisconsin for taking in dear Balto. They were so willing to help it brought me to tears on the phone call. I may have done a little happy dance post phone call 😉 Please considering visiting their site and helping in any way you can. Also, take a peak at the Great Pyrenees Rescue of Atlanta. They were also extremely prompt in getting back to me and were willing to help. Over the next week, I’ll share with you the process of actually getting him from the shelter, his brief stay in our home, and our road trip to Wisconsin! Finding help for Balto was extremely difficult, time consuming, and frustrating. All the places I thought would be willing to help completely ignored my messages. Has anyone else had a similar experience? I am so impressed with your efforts and caring. I have been considering doing the same work. You definitely should! It’s frustrating at times,but so incredibly rewarding. I’ve been warned that it’s addicting! What a dedicated volunteer you are! Good for you 🙂 I’ve been wanting to get involved in rescuing and transporting, but I have no idea where to start. :/ The local shelter I volunteer at doesn’t really have any opportunities for that type of thing. I’ve also wondered about pulling dogs from our local county shelter and trying to get them into breed rescues. I am not quire sure how to go about it either, but it’s something I will have to look into more. You kind of just have to wing it, haha. I think it takes practice to become efficient and I’m certainly far from that point. Based on my experience, I would suggest trying to get contacts to breed specific rescues that you would be interested in working with. Also, ask your local shelter about how willing they are to work with rescues. My local shelter was very willing, but they were unable to let me just pull him from the shelter. I had to technically adopt him because the shelter needed the funding. Good luck and let me know if I can help in any way! I think it depends on how the group is structured as to how easily they work with people who want to bring rescues to them. I would suggest becoming part of one of the rescues or developing relationships with them so you have an avenue to send the dogs you find. Then you know their expectations and structure. If you find a dog, you know what kinds of dogs they will take, how much notice they need, etc. I think your intentions are great, but working outside the system has its draw backs. One of them is not having the contacts you need to place the dogs. You also have a better chance of establishing relationships to remove the dogs to rescue when you are a part of the rescue. That was one of the things that made this process so frustrating. I am involved with two rescues that ignored my requests. I also knew a few people that were involved in other rescues as well. Even though we had contacts in rescues, myself included, we were unable to find the help we needed. I know this is a little late, but I’ve also had a terrible time with the large national rescue groups, both as a person who wanted to adopt a dog and as a potential volunteer. Their sites (which I have unsubscribed from now) all request applications for both, but they never respond, or you get an auto response that someone will get to you within a short time, and THEN never get a response. When I followed up, I always got, ‘well, we’re very busy, you know.” Of course, I know. But then stop asking until you can respond! So I too ended up going to local rescues. And was much happier… good luck to you! You’re doing good work! I had the same issues when trying to adopt from the larger rescues as well. Many places I applied to completely ignored my application. I understand they’re busy, but I think they unintentionally turn away a lot of potential adopters. I agree it turns potential adopters away. I once emailed a rescue to participate in their sponsor a dog program (as I was unable to foster/adopt at the time) and I never heard back. I decided to help out another rescue but I think sometimes they forget that courtesy will go along well to help there cause. Anyway, glad it worked out in the end for you guys. Being in animal rescue, I completely understand the struggle 🙁 You are amazing for giving this big guy a chance!